In creating the new deLorimier wines wine maker Antoine Favero works closely with owner and wine maker Diane Wilson. Both agree that the wines need to capture the spirit of the vineyard. To do this, they use winemaking techniques such as cold soaking and employ traditional French techniques such as pigeage (punch down), remontage (pump over) and extended maceration, utilizing indigenous yeast whenever possible. This elevates flavors and captures the essence of the grapes. With two award winning wine makers creating the wines keep an eye on this winery as it is sure to be a huge success. 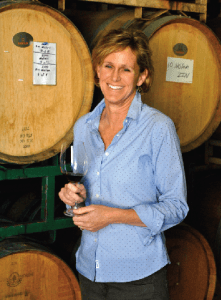 Honored as Woman Winemaker of the Year in 2008, and winning multiple back-to-back Sonoma County Harvest Fair and San Francisco Chronicle Sweepstakes, Diane Wilson has shot to the forefront of the Sonoma County wine industry. These highly–regarded awards, coupled with dozens of 90+ scores and over 100 Gold Medals, demonstrate Diane’s strong track record as an outstanding winemaker. As a winemaker, Antoine believes wines are “nurtured” rather than “produced.” His wines express the unique varietal and terroir characteristics of each vineyard site. There is no one more in tune with his Zinfandels, his wines than Antoine. Each is a unique piece of work and tribute to the vineyard and grapes used to make the wine. 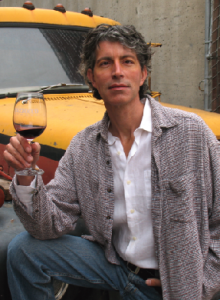 With hundreds of gold medal awards, and numerous 90+ ratings; Antoine’s wines are flavorful and completely unique.